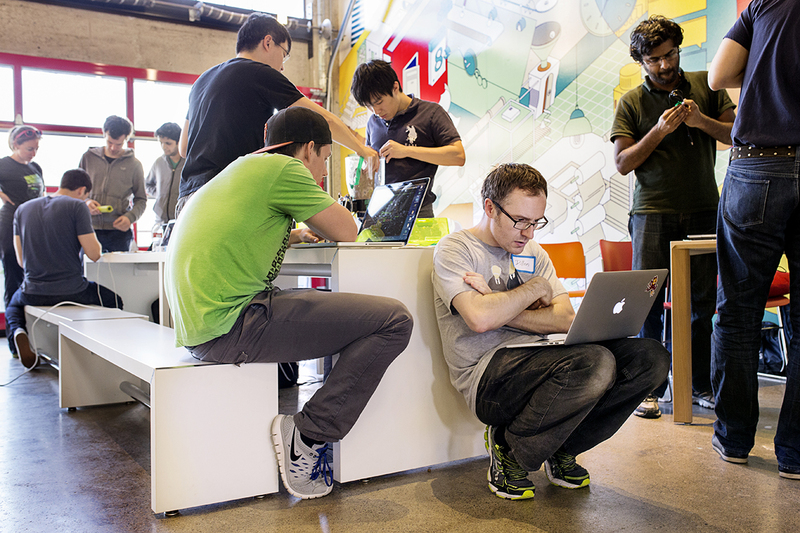 Jonathan Dillon (center) works with his teammates on making a pet food dispendser that could be controlled remotely while participating in the Hackster Hardware Weekend hackathon at the PCH Innovation Lab in San Francisco, Calif., on Sunday, March 15, 2015. The hackathon, organized by Hackster.io, featured hardware challenges including one to create a hack for the DeLorean car. Hackathons are events usually lasting a few days in which computer programmers and others involved in software and hardware development collaborate on a project over a set period of time, often while competing for awards and prizes.